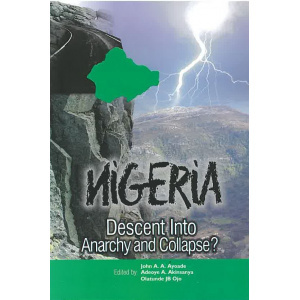 Nigeria: Descent into Anarchy and Collapse? Mohandas Gandhi (1869-1948) is widely acknowledged as one of the great souls of the twentieth century. As the leader of the Indian independence movement he defined the modem practice of nonviolence, wedding an ethic of love to a practical method of social struggle. In the end, however, his philosophy was rooted in a deep spirituality. For Gandhi the struggle for peace and social justice was ultimately related to the search for God. These writings reveal the heart and soul of a man whose life and message bear special relevance to all spiritual seekers. 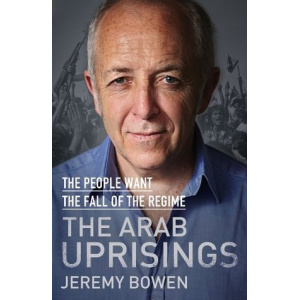 Jeremy Bowen has been the BBC's Middle East correspondent for twelve years and has been on the ground for them as the recent revolutions have swept through the region. Realising this as a game-changing moment in the history of the Middle East, The Arab Uprisings captures the thoughts and feelings of the people involved as the events unfolded, putting these revolutions in their political context, and using them as a prism through which to understand the broader history and landscape of the Middle East. The book will look at the world the demonstrators rejected and its Arab dictators. The author will examine brutal police states, tribal loyalty and foreign help. The West's response and Israel's too, will form part of the narrative. This is an urgent and authoritative account of the seismic political changes rocking the Middle East, from one of the foremost reporters of our time. 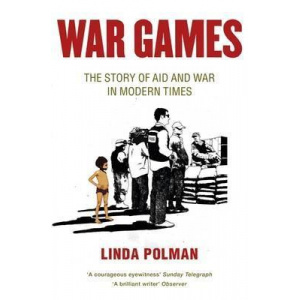 From Rwanda to Afghanistan, from Sudan to Iraq, this brilliantly written and at times blackly funny work of reportage shows how the humanitarian aid industry, the media and warmongers the world over are locked in a cycle of mutual support. 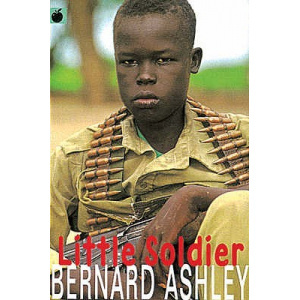 A powerful and important novel that ponders the depths of hate from London's street gangs to Africa's tribal wars through the eyes of a young boy. Kaninda is left for dead when his family is gunned down by the warring tribe's army in their village of Lasai, Africa. He is "saved" by the Red Cross and brought to the UK to be adopted by a family there, but it is not by his choice. He would have rather stayed in Lasai to fight his war and to defend the honor of his people and the memory of his family. So Kaninda stays silent, as a good soldier is trained to do, and plans his escape. In the meantime, however, a gang war and the arrival of a boy from the rebel tribe will force Kaninda to reconsider his ideas about revenge, loyalty, and the consuming power of hate. 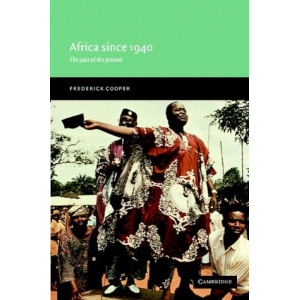 Frederick Cooper's latest book on the history of decolonization and independence in Africa initiates a new textbook series: New Approaches to African History. This text will help students understand the historical process out of which Africa's current position in the world has emerged. Bridging the divide between colonial and post-colonial history, it allows readers to see just what political independence did and did not signify and how men and women, peasants and workers, religious leaders and local leaders sought to refashion the way they lived, worked, and interacted with each other. 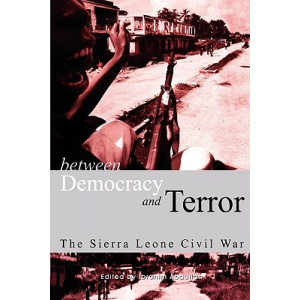 This is the most authoritative study of the Sierra Leone civil war to emanate from Africa, or indeed any publications' programme on Africa. It explores the genesis of the crisis, the contradictory roles of different internal and external actors, civil society and the media; the regional intervention force and the demise of the second republic. It analyses the numerous peace initiatives designed to end a war, which continued nonetheless to defy and outlast them; and asks why the war became so prolonged. The study articulates how internal actors trod the multiple and conflicting pathways to power. It considers how non-conventional actors were able to inaugurate and sustain an insurgency that called forth the largest concentration of UN peacekeepers the world has ever seen. In the aftermath of an armed conflict in Africa, the international community both produces and demands from local partners a variety of blueprints on how to reconstruct state and society. The aim is to re-formalize the state after what is viewed as a brief or extended period of fragmentation and informalization caused by armed conflict. In reality, both African economies and politics are very much informal in character, with informal actors (including so-called "Big Men") often using their positions in the formal structure as a means to reach informal goals. 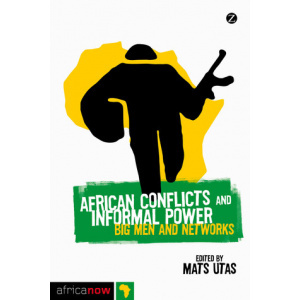 Through a variety of in-depth case studies - from DRC to Somali to Liberia among others - this book shows how important informal political and economic networks are in many of the continent's conflict areas. More than this, it demonstrated that without a proper understanding of their impacts in areas such as borderlands and in "narco-states" such as Guinne-Bissau, attempts to "formalize" African states, particularly those emerging from wars, will be in vain. America Gives . . . . And America Takes . . . . is as much a story about the highs and lows of one man's American Dreams as those of countless others who fled their countries of origin to pursue the promise they were certain to achieve in America. As the author finds out, because of unforeseen cultural conflicts, not all American Dreams which become reality may remain so for long. This book is non-fiction based on the life of the author and the actual events that took place to the best of the author's memory and perception as they happened. The author's account are based on his views, ideals, opinions, and understanding of those events and the people involved. Any reference to persons, agencies, governments, or any entity is the opinion of the author pertaining to the events which took place as they relate to him. The book provides no definitive statement or conclusion as to the character and intentions of each individual or entity mentioned in the book. The readers may make their own determination and opinion based on the information provided, as well as obtaining additional information concerning the facts, from their own further investigation. George Udeozor is the unlikely author of this literary marvel which takes the reader on a breath-taking journey through the chilling nightmares of the darkness and evil that may lurk at the edges of the American Dream. Like most success-driven immigrants, the author, after a childhood plagued by civil war and economic hardship, worked his way through High School in Nigeria and College in the United States before launching a career in banking with Barclays Bank of California, Los Angeles. Although successful as a banker, the author could not resist the lure of profit and adventure in the International Business arena. His quick success as a Finance/Defense Consultant and marriage to his beautiful wife, a glamorous Medical Doctor gave the appearance of nothing less than the actualized American dream. In this book, the author tells the story of his plight from one nation to another and the struggles of political power intertwined with culture which appears to be at the base of each judicial system and those in its charge. 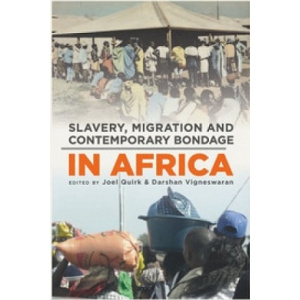 A thoughtful, well researched and revealing account of the behind-the-scenes moves that led to the creation of black Africa's most populous nation. 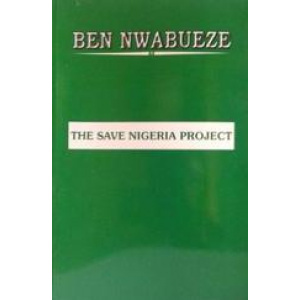 The shaky foundation on which the nation is planted in reckless disregard of the settled principles of federalism leading inevitably to the quagmire in which Nigeria finds itself is thoroughly discussed...the book offers a permanent solution to the seemingly insolvable problems plaguing the Nigerian state. 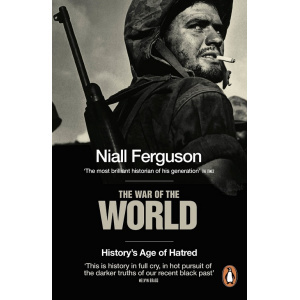 Astonishing in its scope and erudition, this is the magnum opus that Niall Ferguson's numerous acclaimed works have been leading up to. In it, he grapples with perhaps the most challenging questions of modern history: Why was the twentieth century history's bloodiest by far? Why did unprecedented material progress go hand in hand with total war and genocide? His quest for new answers takes him from the walls of Nanjing to the bloody beaches of Normandy, from the economics of ethnic cleansing to the politics of imperial decline and fall. The result, as brilliantly written as it is vital, is a great historian's masterwork. 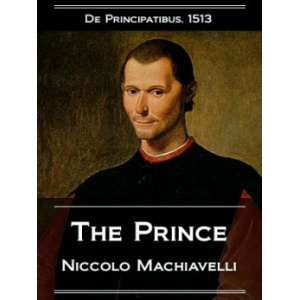 THE PRINCE was written by Niccolo' Machiavelli in the 1500s. It has continued to be a best seller in many languages. Presently, it is translated into modern English, with illustrations by Benjamin Martinez and an Introduction by Adolph Cso. The Prince is a classic book that explores the attainment, maintenance, and utilization of political power in the western world. Machiavelli wrote The Prince to demonstrate his skill in the art of the state, presenting advice on how a prince might acquire and hold power. Machiavelli defended the notion of rule by force rather than by law. Accordingly, The Prince seems to rationalize a number of actions done solely to perpetuate power. 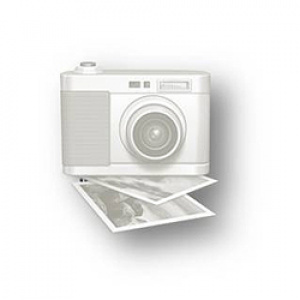 It is an examination of power-its attainment, development, and successful use. Although Nigeria has, in the past 55 years, fumbled from civilian rule to military and back to civilian, it still has not found its rhythm. Decades after gaining independence from the British colonialists, it has failed to deliver on social-economic prosperity, which has become the norm in many other countries. The question currently on the lips of many Nigerians is this: is a major deliverance from stagnation in sight, especially with the coming of a new administration on May 29? 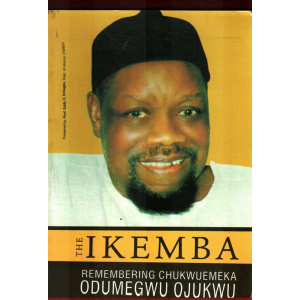 The Ikemba : Remembering Chukwuemeka Odumegwu Ojukwu (1933 - 2011) is a journey through the bravery, unique charisma, profound courage, rare intellect, selfless service, nationalism and unequivocal response to national issues of the late iconic Ikemba of Nnewi, General of the People' Army and Eze Igbo Gburugburu- Dim Chukwuemeka Odumegwu Ojukwu. 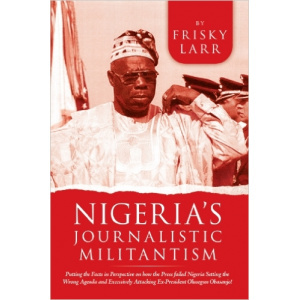 Putting the Facts in Perspective on how the Press failed Nigeria setting the wrong agenda and excessively attacking ex-President Olusegun Obasanjo in breach of professional ethics on absolute neutrality! A brief historical guide to the build-up of facts and culmination in the present political dilemma of political uncertainty. A conclusive personal view on the possible way forward for the Nigerian Press. The extent and nature of rights; the sources of state power; the promises and pitfalls of democracy; how to achieve a just distribution of social goods; the claims of culture and gender on our identity: these are just some of the issues to have been addressed by political philosophers throughout history. 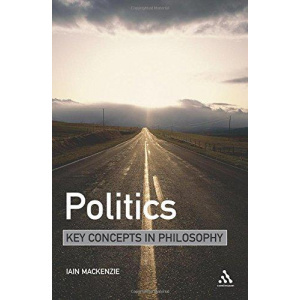 Politics: Key Concepts in Philosophy offers a thorough and stimulating account of political philosophy. The text is structured thematically in order to convey the vibrancy of debates within the discipline. Through these debates the text addresses the ideas of major thinkers -including Plato, Hobbes, Locke, Rousseau, Marx, Foucault, Rawls, Kymlicka, Okin and Butler - and it begins and ends with discussions about the nature of political philosophy itself. This is an invaluable aid to study, one that goes beyond simple definitions and summaries; readers new to this discipline will encounter a lively text full of clear signposts for the journey into political philosophy. 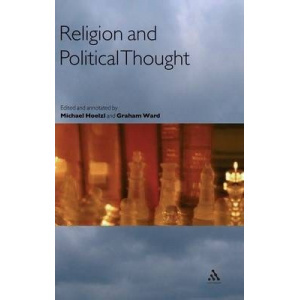 This book provides an essential resource for studies in religion and politics. It is divided into three parts, beginning with an introduction outlining the contemporary relevance of reviewing the relationship between the two subject areas; a brief history of the interactions between religion and politics that have pertained both in East and the West, and the key concepts that relate these two fields. The second section comprises a selection of classic readings. This title is ideal for students of both religion and politics and general readers who are interested in the topics. 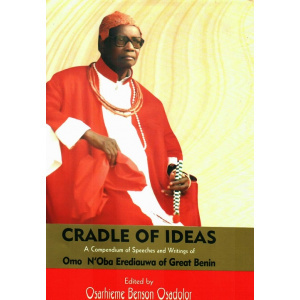 This volume of essays on public policy challenges in the Buhari-led Nigeria is a child of necessity. 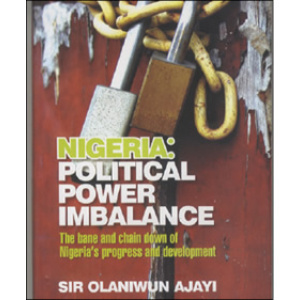 In 2015 and sixteen years after the PDP assumed the leadership reins in Nigeria, it was evident to all, that Nigeria was not enjoying the best form of governance and purposeful leadership. The strength of government was absolutely lacking. Enter 2015 and the grand alliance and vision of the All Progressives Congress (APC), which claimed to be the only credible alternative capable of upending the PDP and providing Nigeria the much leadership change it desired. Hope about Nigeria's prospects soared with the election of President Muhammadu Buhari. The hope was well founded: it reflected the high expectations generated both by the smooth transfer of power from the Jonathan administration, itself a sign of a maturing democracy, and by the scintillating campaign by candidate Buhari. It did not take long before the Buhari administration confronted the political reality of governance. The governance reality that the Buhari administration faced on assuming the reins of power consisted of his own campaign promises (tackling insecurity, combating corruption, and growing the economy -- with emphasis on reducing unemployment and diversifying the economy); unanticipated crises (resurgence of militancy in the Niger Delta and onset of recession); and self-inflicted injuries (delayed appointment of his cabinet, policy somersaults on foreign exchange policy, and poor management of the recession). 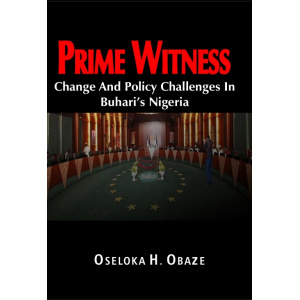 Prime Witness Change and Policy Challenges in Buhari's Nigeria is essentially a product of the author's observations, exchanges with his various interlocutors in and out of government, and Nigerians and non-Nigerians alike, during the first year of the Buhari administration, 2015-2016. 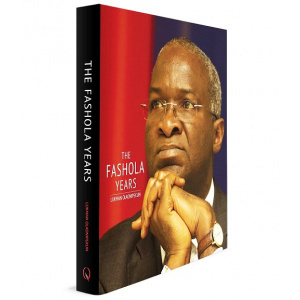 The decision to put this volume together, and indeed, the compelling reason for articulating the policy recommendations, critiques and views herein, derived in his personal belief that as a member of the Nigerian attentive public, we owed it as a civic duty to our posterity to speak up, regardless of whether anyone is listening. Such undertaking will no doubt, enrich our national conversation of critical issues and in the long run, vindicate us in the eyes of our posterity. This book examines the progress that Black Americans have made in the United States in the post-World WarIlera, from the framework of American citizenship. The data in this book show that Black Americans have made substantial social, economic and political progress during this period. For example, as of 2013, there were 60,000 Black American physicians; 50,000 lawyers and judges; 1 11,000 engineers; 329,000 mathematical or computer scientists; and 305,000registeredNurses. However, depending on the variable examined, one would find a gender gapfavoringeither males or females. For example, by 2016, there were 2.446 million Black women and 1.841 million Black men aged 18 and over with at least a bachelor's degree. While there are more Black females in the U. S. workforce, including in the top job category, professional and managerial positions (33.4% vs. 23%), Black males continue to earn higher incomes. 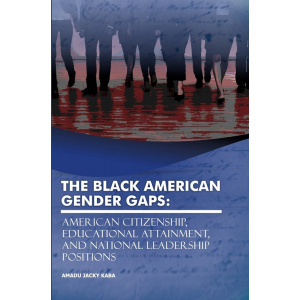 This book presents various explanations for these gender gaps within the Black American population and the implications that result from them. Amadu Jacky Kaba is an Associate Professor of Sociology at Seton Hall University. Prior to returning to Seton Hall University in 2005, he worked with the late renowned political scientist, Professor Ali A. Mazrui (Post-Doctoral Fellowship), teaching and conducting research in the Social Sciences at Binghamton University, State University of New York, and Cornell University in Ithaca, New York, from July 2002 to June 30, 2005. He is the author of almost 80 scholarly publications including over 50 full-lengthpeerreviewedscholarly journal articles and six books. He earned all of his degrees from Seton Hall University: B.A. in Political Science in 1997; Master's degree in Public Administration (MPA) in 1998; andPh.D.in Higher Education Leadership, Management and Policy in May 2002. 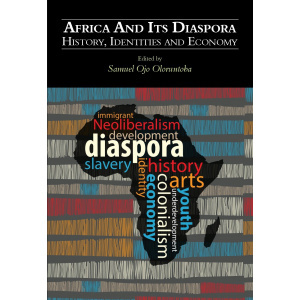 This book provides important aspects of African diasporic experiences, covering the mass movement of Africans to Asia, Europe, and United States of America, the resistance to the epistemic violence caused by slavery and slave revolts, and the survival of African culture in the Diaspora. The book also explores the role of arts in fostering development as well as the influence of slavery and religion on Africans. Given the contradictions that continue to define African experiences in the global capitalist system, the book offers some alternative points of departure. Samuel Ojo Oloruntoba is a Senior Lecturer and the Coordinator of the Researchclusteron Innovation and Developmental Regionalism at the Thabo Mbeki African Leadership Institute, University of South Africa, Pretoria, South Africa. He obtained his PhD in Political Science with specialization in International Political Economy of Trade from the University of Lagos, Nigeria, where he is a tenured Faculty member. Oloruntoba is the author of Regionalism and Integration in Africa: EU-ACP Economic Partnership Agreements and Euro-Nigeria Relations, and co-editor of Regenerating Africa: Bringing African Solutions to African Problems and the forthcoming Palgrave Handbook on African Politics, Governance and Development. Oloruntoba received the 2016 Wangari Maathai Award for Innovative Research Leadership at the University of Texas in Austin. What options do African countries have to grow their economies and improve the living standards of their populations? What course should their socio-economic development take? The book reasons that African states, more than ever, need partnerships with the outside world in the development of the continent, based on equality, mutual benefit and win-win cooperation. This need has arisen as many Africa nations experience decreases in their fortunes in economic development and equitable distribution of resources among their peoples on the one hand, and increased dependence on development aid and loans from developed nations and international monetary regimes, on the other. 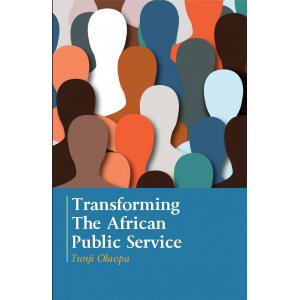 The book opines that genuine partnerships with donor countries should distinguish between a simple analogy of other nations' development experiences and the genuine analysis of the respective dynamics of cases of African nations. It concludes that beneficiation of African raw materials on the continent is a key to Africa's success in boosting economic growth, development and reduction of poverty and unemployment. Alexius Amtaika is a Research Professor atUniversityof Limpopo in South Africa. He holds a PhD in Political Science from the University of the Witwatersrand in Johannesburg, South Africa, specializing in Political Theory and Governance of Local States. He is the author and editor of four books. He is a former recipient of the University of Michigan African Presidential Research Fellowship (2008-2009). He is also the founding Editor-in-Chief of the Journal of African and Asian Local Government Studies. The long and arduous struggle for human and civil rights is a defining theme in the historical experiences of African people and their descendants in the Diaspora. Challenges to fundamental human and civil rights continue to manifest in multipledimensions,and are still critical issues in the political, economic, and social realities of black people. 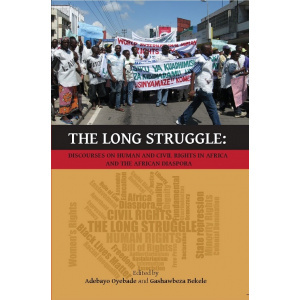 Featuring thirteen original chapters contributed by scholars from both sides of the Atlantic, this book interrogates the complex dynamics of human dignity and rights within the global African context from a multidisciplinary perspective. By providing an integrated discourse on fundamental issues of human and civil rights such as state repression in the modern African state, women's rights, minority rights, the right to education, and racial disparities and injustice in Black America, the book offers academics and the general reader a valuable resource to understand the historical and contemporary processes shaping human rights and freedom in the African world. 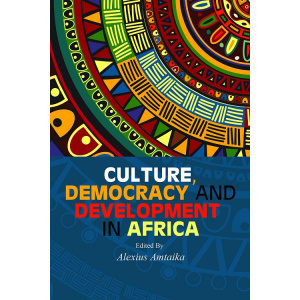 Conceptually and programmatically, there is no clear connection between the concepts of democracy, culture and development. However, the influences of Western European countries in the implementation of democratic ideals and development models, plans and programs on the African continent, has created vast fields of play between them, in so doing informing and blending into one another. It is in the context of this that this book comes to the fore. First, to assess the question of whether development undergirds democracy or promote democratic impulses. Second, to scrutinize the casual link between democracy and development, which is taken for granted in our times. Third and finally, to assess the claims of whether culture is dynamic and fluid as it is in the era of increased global flows or as an entity to be compartmentalized or understood in fixed terms. The book takes the concept of culture as its point of departure to explore political, economic and social phenomena, on the grounds that, whenever one defines the concept of development or democracy, the notion of culture assumes a deterministic and influential role in it, and that the precepts of democracy or models of development are usually marked by tangible signs or sets of ideas, visions and claims, which ultimately determine the contours of culture. It is on these grounds that, not only does each of these three concepts supports or denotesgroupor institutional practices, but also contains conceptual claims with ideological power. 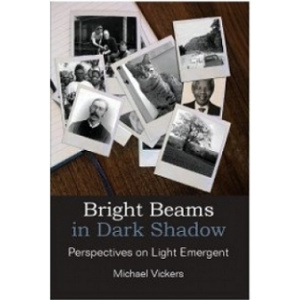 Starting as a simple compilation of selected lifetime writings, Bright Beams in Dark Shadow evolves into a personal testimony with a thrusting thematic thread; that of the ongoing battle of an ever-challenging Light, with an entrenched and dominant Darkness. Underlying emphasis is given to the fast-accelerating shift in Life Principles and Life Values from our planet's world of the parochial, into a modern world of emergent universals of inclusion and engagement. The profound and transformative role of cybernetics, recognised and understood by few, emerges as the base platform from which all else in our unfolding future, follows. It is hoped this lengthy selection of odes, articles, critiques and commentaries will provide for the reader a powerful stimulant to a wide range of ponderings, queries and challenges at every level and depth; and indeed on new, penetrating and provocative Perspectives on Light Emergent. Getting Our Universities Back on Track is a broad narrative on the state of higher education in Nigeria, undertaken within the context of the author's experience as Vice Chancellor at Adekunle Ajasin University (AAUA), a pub¬lic university in the country, from 2010 to 2015. The process by which the author negotiated the challenges presented by AAUA in those years are care¬fully unveiled in a manner that speaks to the emergence of new paradigms for university governance, predicated upon an untrammelled commitment to meritocracy. It is a narrative on the success story of modernization of a public university operating in a particularly difficult policy and politics terrain. 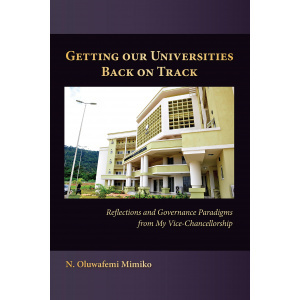 It equates a practice manual for university governance in Nigeria, and arguably beyond. 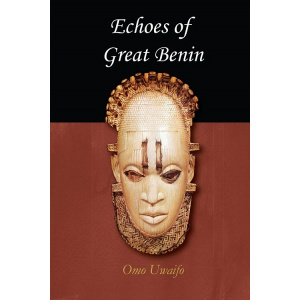 A RENAISSANCE BOOK about Benin, Edo, invites you into the quaint world of probably the greatest living traditionalists of this part of modern Nigeria, the Edo. As she struggles for relevance in a country much of which she had ruled before the coming of the British, she is as the proverbial butcher of carrion. Her fingers are slimy with decayed flesh and they stink. She cannot use them to scratch her itchy body. Her art treasures, artifacts and much of her history, she lost to the British in 1897. Her famous dry moat, Iya, has decrepit sections of it left. Ibota, the aural source of Benin stories I knew, now belongs in the past. The people of Benin, the Edo, now speak Pidgin English in their homes. Indeed, Benin is gradually effacing her history and etching out a life of anonymity. Please read on for a peep into a bit of her present and a greater look into much of her past! 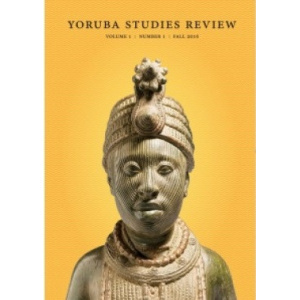 The Yoruba Studies Review is a refereed biannual journal dedicated to the study of the experience of the Yoruba peoples and their descendants globally. The journal covers all aspects of the Yoruba transnational, national, and regional presence, both in their West African homeland and in diasporic spaces, past and present. The journal embraces all disciplines in the humanities, social sciences, and the basic/applied sciences in as much as the focus is on the Yoruba affairs and the intersections with other communities and practices worldwide. 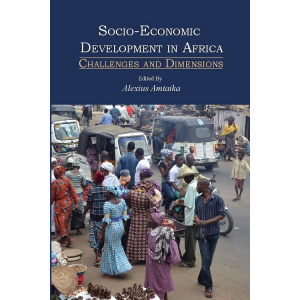 Africa: Development Challenges and Possibilities examines the positive achievements that are being experienced on the continent. In examining Africa's development paradoxes, one can point to any number of examples illustrating challenges facing the people on the continent. However, there are now many examples of real progress on the ground such as: increase in life expectancy; decreasing infant mortality rates and death rates; and increase in Gross Domestic Product (GDP), and GDP per capita. 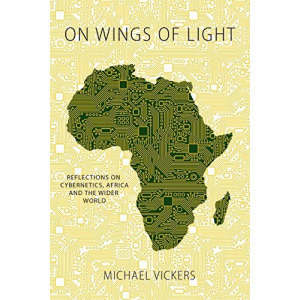 The book examines the impact of Islam and Christianity in Africa; population growth, environment and the challenge to food production; the impact of the African diaspora; and the role of the African Union in Africa's development. 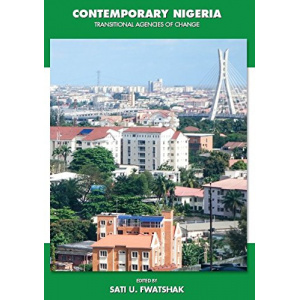 The essays in this volume provide a framework for understanding contemporary Nigeria's pains and gains. Nigeria remains a country in transition, characterized by many challenges and positive changes. 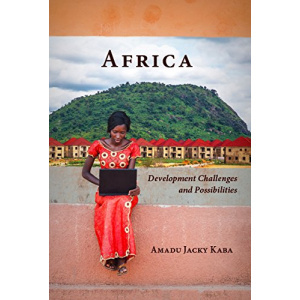 This book captures its dysfunctional elements as well as its success stories as the continent's most populous nation, generously endowed with both natural resources and human capital. 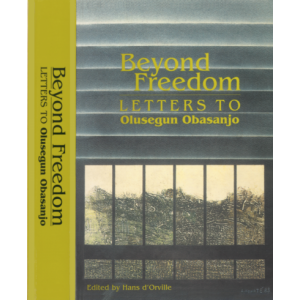 The various views in this book reflect the twists and turns in Nigeria's post-colonial experience. 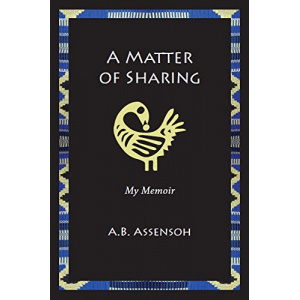 A Matter of Sharing is a memoir of Ghana-born A.B. Assensoh, who has lived, studied, and worked in the United Kingdom, Nigeria, and Liberia, where he served in editorial capacities. From Sweden, where he studied at the University of Stockholm and also served as Editor of African Features Service in Scandinavia, he moved to the United States in the mid-1970s, first to serve as a Scholar-in-Residence at Lincoln University in Pennsylvania as well as University of Pennsylvania, and he has lived there ever since. His memoir serves as his recollections of events that bring happiness, mixed feelings and, sometimes, sorrow. Apart from sharing anecdotes of some of the events in West Africa of London, this is the first time that he has committed many of the details. As our world battles on from a Darkened past and an equally Dark present, a steady beam of Light persists. It is eternal and within the core Spirit of humankind. It has long sought full release; opening wide the flood-gates of Actuation, Inclusion and Life Engagement. On Wings of Light declares this time has already arrived. Sharply accelerating transfigurative effects, it contends, are due to the advent of Cybernetics; the combined operation of Electronics and Communications in our modern world. Cybernetics not only brings Great Light to illuminate age-old Corridors of Darkness; it points mankind in the direction of a bright and promising Horizon Future. In the unfolding of this future, it maintains that Africa, with its vast lands, folk, resources, root Ethic of Light and increasing prominence, will play the determining role. Exploring relevant concepts, thoughts and perceptions; this work reflects on their meaning, significance and stimulus to practical research and activity. These are, indeed, trying times for Nigeria and its constituent ethnic nationalities. Political instability threatens to rear its ugly head once again, ethnic militias and insurgencies endanger the continued existence of the country, crime and criminality have assumed crisis proportions, and the economy remains in a long- term state of underperformance. In these circumstances, there isneedfor a well-researched book detailing the reasons for these manifestations of systematic failure and proposing a realistic way forward. A. Cultural Development, Traditional Institutions and Governance. C. Vision from the Ivory Tower. D. Education, Social Mobilization and Sport. E. Politics, Economics and the State. F. Media, Religion and Standard of Service. While it is tempting to review this path-breaking publication by going from one category to the other, the danger is that the output will be excessively long and unnecessarily narrative. The preferred approach adopted is that which is essentially analytic. This requires regrouping into fewer categories in which the world-view or ideological perspective of the revered author arc captured. These are Politics/Constitution Making, Education and Religion.